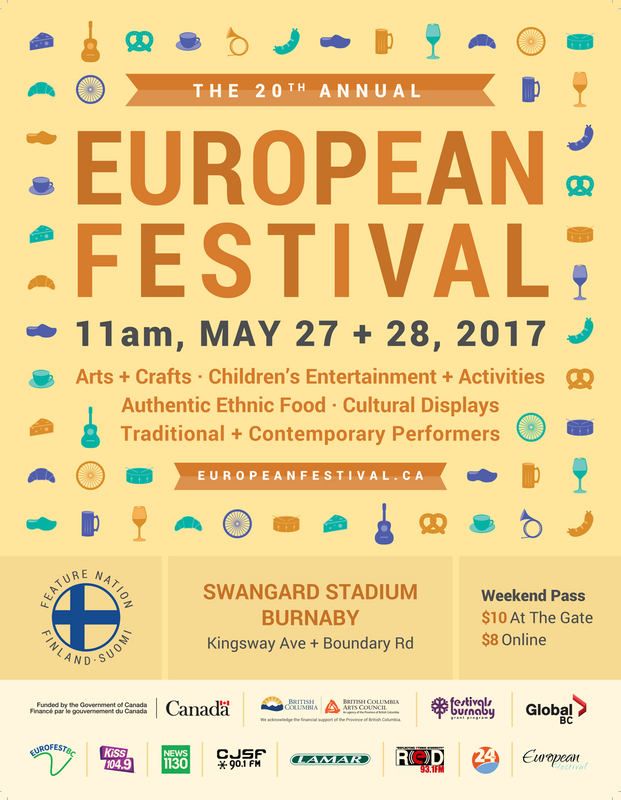 This May 27 and 28, come to the 20th Annual European Festival at Burnaby's Swangard Stadium. Featuring the signature food, crafts and performing arts of 28 countries across Europe, this family-friendly event has something for everyone! Visit europeanfestival.ca or @EuroFestBC on Twitter and Facebook for event updates and vendor and performance listings. Early bird tickets available at ticket.europeanfestival.ca! The 20th Annual European Festival is proudly sponsored by CJSF 90.1 FM.